The Ilio-Psoas or the iliopsoas has become a recent topic of conversation in the performance dog world. Pronouncing it is one thing [illee-o-so-az]; understanding what it does is another thing! The Iliopsoas is one of the most complicated muscles in the dogs’ body and deserves careful examination due to its complexity, demand, action, and location. Let’s start with the basics. It is located in the hindlimb or the back leg. It originates in the lumbar spine or the lower back, and inserts in the femur or upper thigh. This fact is important – it starts in the back and ends in the hip. This means the muscle and the approach to strengthening and conditioning always needs to encompass both the back and the hip area. We will get more specific in a minute, but I would like you to think about the origin and insertion – starts in the lower back and inserts in the femur or thigh bone. The muscle works on two areas – the lower back and the hip. It has two big jobs – to extend the lumbar spine and flex the hip. In other words, it is going to straighten the spine and bend the hip. There are a lot of things a dog does to engage or activate this muscle. 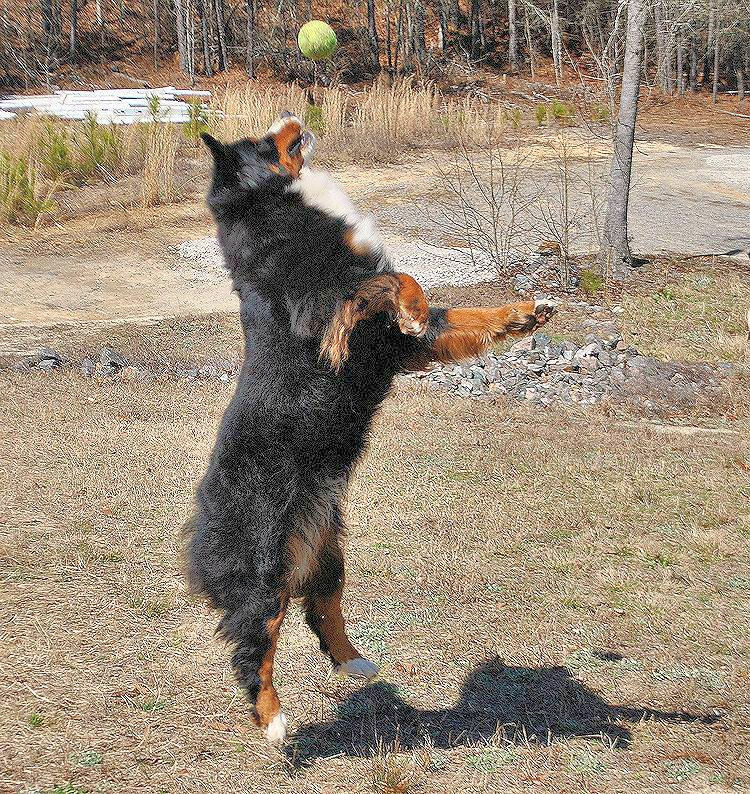 Examples of hip extension include when a dog jumps on a couch, takes of to go over a jump or catch a disc, jumps off a dock or a boat, or jumps off a deck onto the grass to chase a squirrel. Examples of hip flexion would be when the dog goes up a flight of stairs and brings the leg up, moving from a stand to a sit, and landing after a jump. And these are just a few examples. During normal every day-to-day activities, think about how active your dog’s hip and lower back are. Watch your dog move right now, and I am confident you can see their lower back and hip moving. A simple sit to stand activates the muscle quite a bit. Since there are so many parts of this muscle, there are many factors to consider when strengthening the dog to prevent an injury and strengthening the dog to bring them back from an injury to the iliopsoas. Core strength is the first step to address this muscle. The stronger the dogs’ overall core and spinal musculature are, the better prepared the dog is for activities. Injuries to this area can occur from a slip – the dog’s back leg slips back and out. It may also occur from a poor jump, overuse due to poor posture, or a misstep on a slippery surface. Canine hip dysplasia, lumbar stenosis, cruciate disease and spinal disease may contribute to iliopsoas injuries. In addition, a pelvic tilt or poor pelvic control may also contribute to a problem. Dogs who compete in performance events that use and/or stress the iliopsoas should be properly warmed-up for the activity in order to perform their best and prevent injury. Sunday afternoon, November 27th, we will address proper warm-up exercises for the agility dog in a FB Live session broadcast from the LEAP Agility Thanksgiving Cluster Trials in West Springfield, MA – where you will find Wizard of Paws and Toto Fit on-site. Be sure to watch our Facebook page for more information! I recently learned that my labs had injured their Iliopsoas and I am wanting to learn everything I can to prevent further injury and to incorporate physical exercise into their training and playing routine.